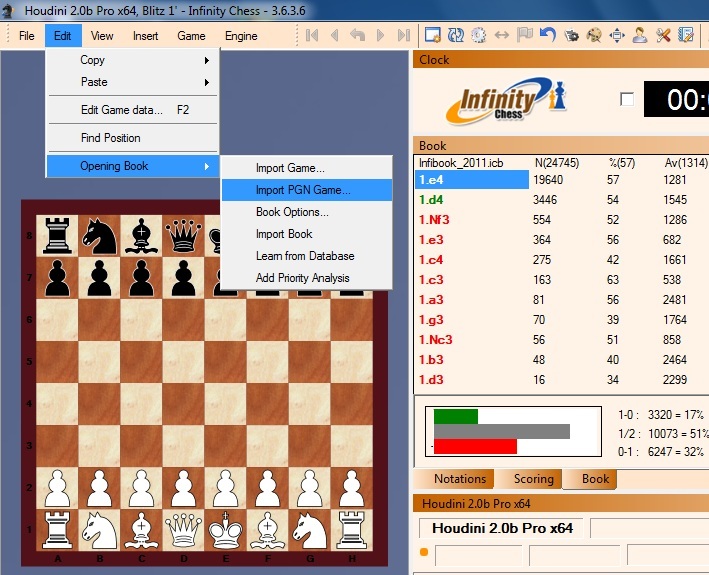 Since the book Infibook_2011.icb (6MB) that comes with InfinityChess GUI is small and has few positions, I have prepared a book for the GUI. Infinity-X.icb (60MB), it contains the games played in SCCT 9 By Sedat Tournament with 235,000 positions on it. If you have a problem using this book you can add games in the book that comes with the GUI. Get your best games and add in the book making it bigger and with more positions to be played during the game. Then with some adjustments and tunes book will be ready. I made the 6MB default book a 383MB book. How can you add games in this book ?